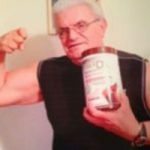 I’m 76 years old and have used many different supplements over my 50 plus years of working out. I have to say this is one of the best. I started using Barn Dads Fiber DX “German Chocolate Shake” about a month ago and love it. It’s tasty, filling, and keeps me feeling full, where I’m not looking for snacks. It’s also helping me reduce my belly fat which has been a struggle. I’ve been recommending this product to everyone who’ll listen. I am surprised at the results I have seen from a product as seemingly simple as a fiber supplement. After just a few days of use at twice a day I noticed a difference in how much less hungry I felt between meals. After a couple of weeks I actually started to see a reduction in fat around the midsection, more so than with the few stimulant fat burners I have tried over the years. Overall I am really happy I decided to try BarnDads FiberDX and will be keeping it in my daily routine. I wanted to say “Thank You BarnDad” as you’ve become a real lifesaver for me with my contest preparation. Not only do your snacks and supplements all taste fantastic they are so simple and convenient. Your nutritional values are perfect for my training needs as they’ve given me the protein I need in addition to really controlling my carbs and calorie intake. Also, I never really calculated my fiber intake before but what a huge difference in your fat loss and how much better you really begin to feel when taking in the right amount of fiber per day. Thank you for finally making the perfect on the go products for active people like me. I have struggled with yo-yo cholesterol levels for years. A recent blood test showed my numbers had climbed again. I was desperate to do anything short of medication to lower it. After hearing about the great health benefits of BarnDad’s FiberDX, I decided to try it. I was apprehensive that a powder would have any effect, but I was willing to try. After several months of daily use and a healthy workout program, I scheduled a second blood test. The results blew me away! Every level had improved. My cholesterol was down 44 points to 166…LDL down to 7 points…triglycerides down to 149 points!